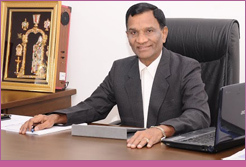 Dr.S.Rajalakshmi B.Sc., M.B.B.S., D.G.O., a doctor of medicine is the Joint Managing Director of Surana Textiles Ltd and also the correspondent of the college. 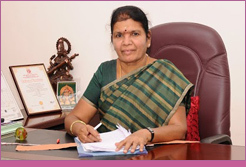 She is deeply interested in social and educational activities and involves herself with all the activities of all colleges under the trust. 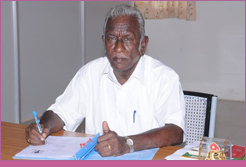 Dr.V.S.Veluswamy M.Sc., M.Phil., Ph.D., Dr.V.S.Veluswamy M.Sc., M.Phil., Ph.D., an educationist with more than three decades of rich teaching,research,and administrative experience is a Founder Trustee of this Trust.